Where in the World is BELBIN ? BELBIN families are currently found living in England, Wales, Scotland, Denmark, Germany, Zimababwe, South Africa, USA, Canada, Australia and New Zealand, but did you know that the name is more permanently placed in some locations because the actual places themselves are named BELBIN (or a variant thereof)? Presumably in English speaking countries, these places have been named after particular individuals called BELBIN who either lived there or had a major impact on the local community and were thus imortalised by having their name included on maps. Somewhat surprisingly, there are also places where the name exists in muslim countries but one can only guess at the reason why. If you know how or why a particular place acquired the BELBIN name, please do enlighten us. 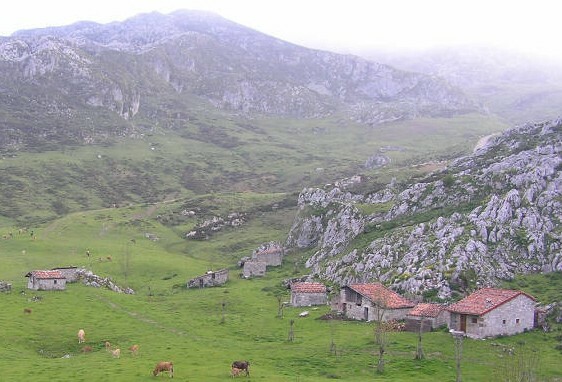 In north western Spain, in the Principality of Asturias, near Covadonga, are the Picos de Europa mountains, an area which UNESCO has declared as being a Biosphere Reserve. In these mountains is a cave system called El Hoya la Madre which can be accessed via a valley known as The BELBIN Fertile Valley which until recent times was an almost unknown place. It is also called the BELBIN Moraine. As you may know, a moraine is an area of debris carried down and deposited by glacier. 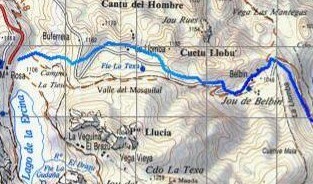 Explorations of the Rio Casano gorge in El Hoya la Madre can only be made by descending from the BUFERRERA-BELBIN track into the BELBIN Fertile Valley whereupon one finds the BELBIN SINK (see the photograph on the right). This is to say two small streams sink at the collection of shepherd's huts known as BELBIN. One disappears into the centre of the valley below the moraine into a sand and gravel floored stream. The other sinks through boulders into a subterranean streamway which is possibly a way into the caves. If you would like to see more photos and a bigger map, click here. The question which needs answering is why is the BELBIN name here? Please get in touch if you know. Yes, the last one in that list says BELBIN is a place name in the Islamic Republic of Iran. See Surname History for some speculative comment on this outrageously unexpected situation. Of all the places on the planet, why would the name be in Iran? Does anyone know? Other places on the map include BELBINS at Romsey, Hampshire (see Romsey BELBINS). In Hombourg, Belgium there is a RUE DE BELBEN (BELBEN ROAD) and in County Sligo, Ireland can be found a mountain range called The Dartry Mountains. In this mountain range is the 526m peak BEN BULBIN (or BEN BELBEN) which in Irish is called BINN GHULBAIN. The poet W.B.YEATS wrote the poem Under Ben Bulben and that area is commonly referred to as Yeats Country. There is BELLMAN'S COVE in the Port au Port region of Newfoundland, Canada and in New Chelsea, Newfoundland there is a BELBIN ROAD EAST and a BELBIN ROAD WEST. Vanuatu has BELBIN BAY whilst in Tasmania, Australia there is BELBIN RIVULET and a BELBIN ROAD at Cambridge, a BELBINS CREEK which is a 10 mile long watercourse, in Cadell County and a BELBINS WATERHOLE in the same place. In Canberra, Australia can be found BELBIN PLACE. In Casper, Wyoming, USA is BALBEN ROAD and in England, we have BELBIN WAY at Sawston, near Cambridge and BELBEN ROAD in Bournemouth, Dorset. HMS PENELOPE was a 5,720 tonne Royal Naval cruiser which was built by Harland & Wolff in Belfast and launched in October 1935. She served pre and during World War II (1936 - 1944) and was torpedoed by German U-Boat U410 on the 18th February 1944 and sank off Anzio, Italy with the loss of 417 lives, including that of the Captain, G.D. BELBEN DSC AM RN. The Memory of those who died is preserved by an annual notice in the In Memoriam column of The Daily Telegraph and more particularly by The Penelope Association whose president is DAVID BELBEN, the son of Capt. BELBEN. In addition, on the south wall of the chancel at St. Ann's Church, HM Dockyard, Portsmouth can be found a Roll of Honour memorial tablet with the inscription Roll of Honour HMS Penelope 18th February 1944 Constantia et Fide Captain G.D. BELBEN D.S.C. A.M. R.N. followed by a list of all 417 names. CAPTAIN GEORGE DEVEREUX BELBEN, D.S.C., A.M., R.N. who was in command of H.M.S. Penelope, the loss of which was announced by the First Lord of the Admiralty yesterday, had been 34 years in the Navy. He was born on May 14, 1897, and entered Osborne College as a cadet in January 1910. During the last war he was a midshipman in the cruiser Cumberland in West Africa, the battleship Canada in the Grand Fleet, and sub-lieutenant in the Penelope (predecessor of the ship now sunk) in the Harwich Force. He volunteered for service in the raids on Zeebrugge and was in the blockship Thetis. It was due to his exertions that the captain and first lieutenant, who were disabled, with the ship's company, after sinking their vessel got away in the one remaining cutter and pulled to a motor launch. He was awarded the D.S.C. in July 1918, for Zeebrugge, and the Albert Medal for gallantry in January, 1919. He specialized in gunnery, and in 1929 graduated at the Staff College. In December 1931, he was promoted to commander, and for the next two years served with the League of Nations Commission. He was also Fleet Gunnery Officer, Home Fleet; commanded the destroyers Wishart and Daring in China; and from 1936 to 1939, when he was promoted to Captain, he was executive officer of the York, flagship on the American station. When the war broke out he was given command of the Canton, armed merchant cruiser, and he assumed command of the Penelope in August 1942, in succession to Captain A.D. Nicholl, who had been wounded during her service with the Malta Convoy. In the Daily Mail newspaper on 5th October, 2002, an article recorded the fact that ALFREDA BELBIN, aged 88, who was born on 19th May, 1914, was England's oldest landlady. Freda got her licence in 1935 at the age of 21. Her mother and grandmother were publicans before her. She owned The Three Horseshoes, affectionately known as Freda's, in Bishopstone, near Salisbury, Wiltshire but had recently given up the day to day running of the pub for health reasons. Tracey Lee BELBIN is a former field hockey player from Australia having been born on 24 June 1967 in Tingalpa, Queensland. She represented Australia at the 1988 Seoul Olympics in South Korea when she won a Gold Medal with the Women's National Team (the Hockeyroos) and again represented Australia at the 1992 Barcelona Olympics finishing 5th overall. She went on to graduate in psychology from the University of Queensland in Brisbane in 1993. Later, she became a hockey coach working as an assistant for the South African Women's Team. 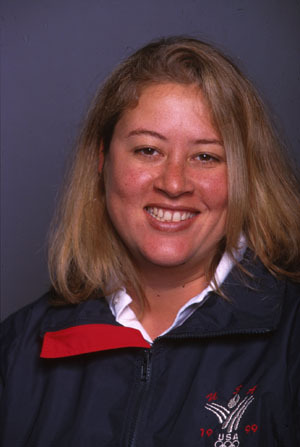 In January 1999, Tracey BELBIN became the Head Coach of the US Women's Team , with whom she won a silver medal at the 1999 Pan American Games. She resigned as US Head Coach after the 2002 Women's Hockey World Cup. Tracey was awarded the OAM (Order of Australia Medal) in 1989 in recognition of her achievements. 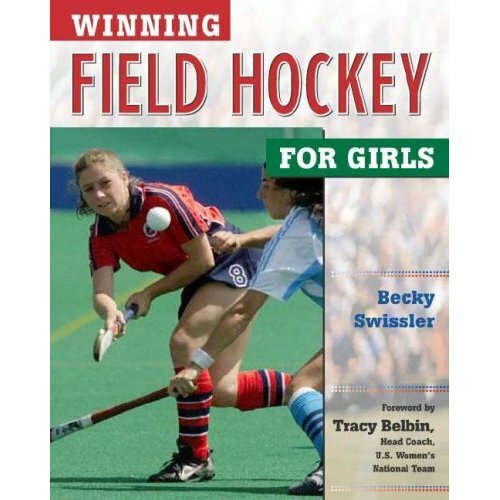 Tracey has also contributed to Becky Swissler's book Winning Field Hockey For Girls by writing the Forward. This 224 page book was published in 2003. 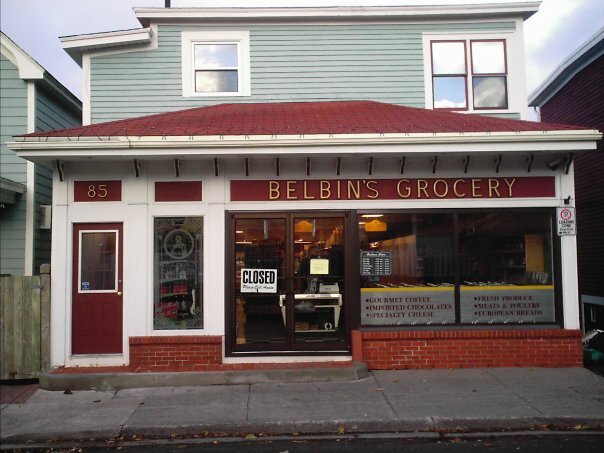 BELBIN'S GROCERY can be found at 85 Quidi Vidi Road in St. John's, Newfoundland, Canada just south of Quidi Vidi Lake and just north of St. John's Harbour. According to the Company History page of BELBIN'S GROCERY website, the business first opened its doors in September 1943, when its founder, Robert George BELBIN, grandfather to the present day owners, renovated the front room of the family home to accommodate a small neighborhood grocery store. Apparantly he had gathered a lot of grocery experience whilst working in the grocery department of Ayre & Sons Ltd in St John’s, but due to poor health, had been forced to resign from that company. He, along with his two sons, Edgar and Fraser BELBIN, therefore decided to open their own store, which was immediately accepted by the surrounding residents, and within a few years was attracting customers from all over the east end of the city. Robert George BELBIN died in 1946, and in 1947, his youngest son Douglas BELBIN joined his two brothers and together their partnership continued for forty-three years. In the early 1960’s, they extended the store to include a small meat cutting room, which subsequently became the cornerstone of a strong customer base for the store. In June 1986, the three brothers retired, at which time Edgar’s sons Robert and Peter BELBIN, along with Douglas’s son Chris BELBIN, purchased the business and were able to continue the family tradition. In 1988 minor renovations were carried out which gave the building its present day storefront as well as additional floor space. In 1999 investment was made in building renovations and equipment and shopping space was tripled. A new kitchen was included, which was to become the cooking headquarters for BELBIN'S own line of fully cooked meal replacements known as Dinners Ready .. by Belbins. It is possible to find rare manuscripts, if you know where to look. This is one of those accidental finds where the script was in effect a chapter of a much larger tome. 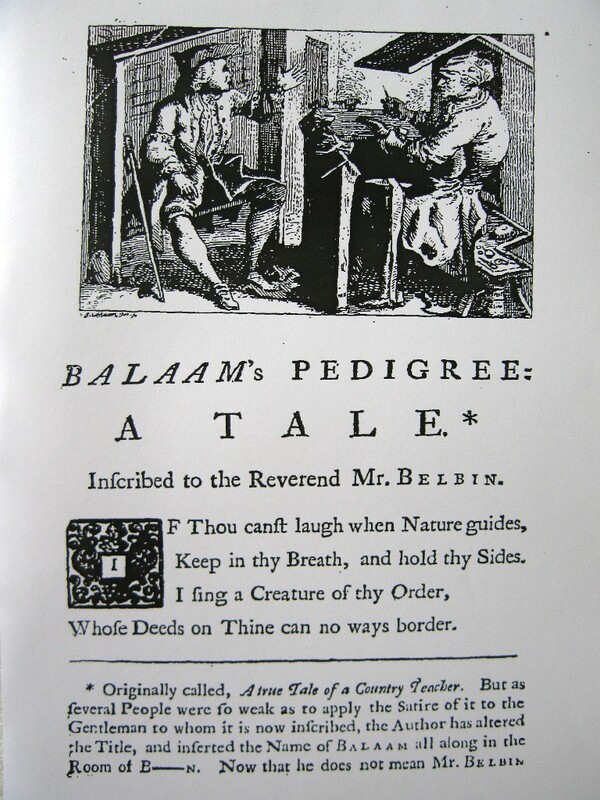 This tale entitled BALAAM'S PEDIGREE: A TALE Inscribed to the Reverend MR. BELBIN, was originally published as A True Tale of a Country Teacher according to the footnote on the front page. The MR. BELBIN in question would appear to have been the Reverend PETER BELBIN who was preaching sermons in Reading and Abingdon in 1732. The tale centres around the character and personality of the Reverend. Two of Reverend PETER BELBIN's sermons also survive. He published them in 1732 at a cost of 6d per copy. Front pages of these mutli-paged publications are shown below.